Hackers are increasingly exploiting an unknown flaw to siphon payment card information from e-commerce websites that use Magento, the most popular e-commerce platform owned by eBay. "The sad part is that you will not know it's affecting you until it's too late, Gramantik wrote in a blog post, "in the worst cases it will not become apparent until they appear on your bank statements." What's clever about this method? Coincidentally, if anyone tries to load this "image" file via the web browser, "all the visitor would see is the broken image" and nothing more. 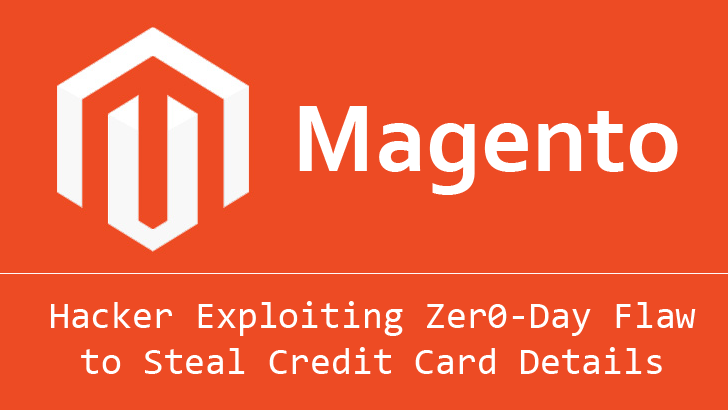 However, the cybercrook can download the complete "image" file and decrypt the stolen data using Public Key in an attempt to siphon all the billing information processed by the Magento e-commerce website.